We will provide you better price with fair quality. Quick Reply: We will reply your inquiry within 24 hours. 3. Can I get samples first before we order9 A. 80% polyester + 20% polyamide: 170-260 gsm B. Bulk packing: 50 pcs or 100 pcs in a polybag. B. Or we send the samples by our selves and customer pay the cost. Sample charge: According to product details. 3). Our service: 1. Customized designs, materials, sizes & colors are available. 2. We will protect the customer customized designs, brands & trademarks carefully. Shenzhen Fanany Packing Products Co., Ltd.
Wuxi YourBest Textile Co., Ltd.
Guangzhou Datian Silver Jewelry Co., Ltd.
&hearts; Develop new designs every week, tens of thousands of styles for your choice. XD promise to refund all the payment if any of our products does not meet standard stated. XD promise to provide repairmen if any of our products has quality problem during your use. It is conveniently situated with a superior geographical position close to Shanghai-Nanjing High-Speed Railway and Changzhou airport. 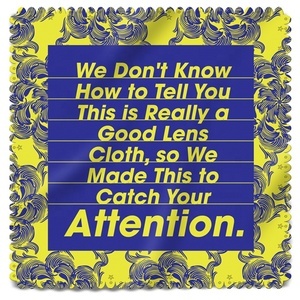 We are specialized in manufacturing and selling microfiber clean cloth/pouch, blocking pads, lens sprays & eyeglass accessories. How about shippment9 1. By sea to your nearest port 2. By air to your nearest airport 3. By courier (DHL, UPS, FedEx, TNT, EMS) to your door C.
Wuxi Meikesi Microfiber Fabric Co., Ltd.
Alibaba.com offers 4,277 custom jewelry cleaning cloth products. About 55% of these are cleaning cloths, 14% are eyeglasses care products, and 1% are 100% polyester fabric. A wide variety of custom jewelry cleaning cloth options are available to you, such as microfiber, micro fiber, and 100% polyester. You can also choose from eco-friendly, stocked. As well as from screen, glass, and home appliance. 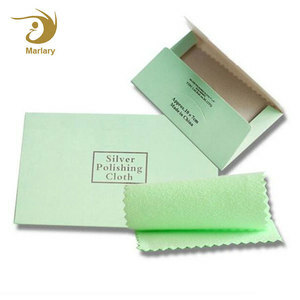 And whether custom jewelry cleaning cloth is free samples, or paid samples. 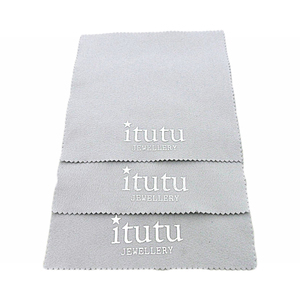 There are 4,198 custom jewelry cleaning cloth suppliers, mainly located in Asia. The top supplying countries are China (Mainland), Hong Kong, and Taiwan, which supply 98%, 1%, and 1% of custom jewelry cleaning cloth respectively. 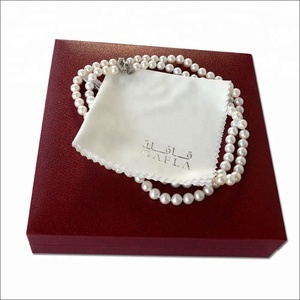 Custom jewelry cleaning cloth products are most popular in North America, Western Europe, and Mid East. You can ensure product safety by selecting from certified suppliers, including 473 with ISO9001, 249 with Other, and 136 with BSCI certification.